So I have decided that my first post will be about quinoa. 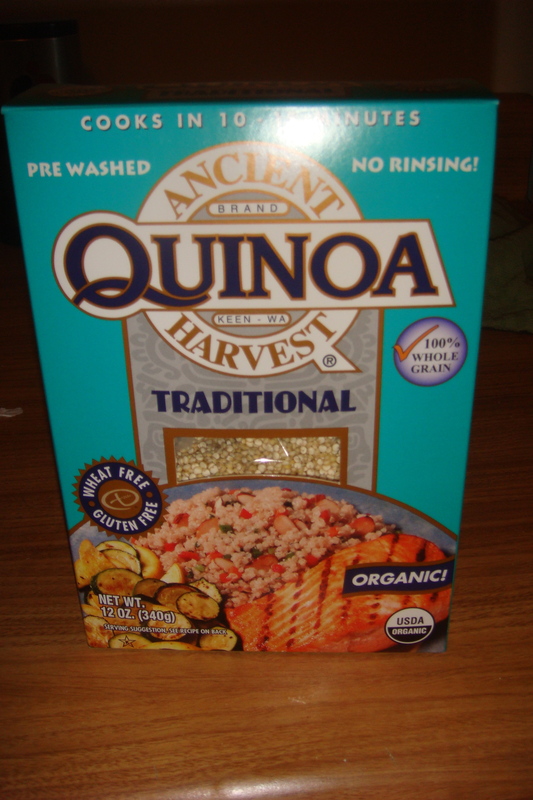 I first came across quinoa when it was presented on The Doctors television show as one of the healthiest food items. I quickly began reading about it and was presently surprised. Quinoa is 100% whole grain, wheat free, gluten free, and it contains all the essential amino acids so it is considered a complete protein. It is also an excellent source of fiber, iron, phosphorus, and riboflavin. Basically quinoa is the perfect side dish (replacing rice, pasta, etc.) to all those who vegetarian (who are always looking for different ways to get their daily protein), allergic to wheat or gluten, or to someone who is just looking for a healthier option. Quinoa is also a joy to prepare. It cooks extremely fast on the stove, in a rice cooker, or even in the microwave, and it readily absorbs the flavors you cook it in. I cooked it on the stove in low sodium chicken broth and once cooked mixed in a dressing of fresh thyme, dried oregano, black pepper, extra virgin olive oil, and lemon juice. I know it does not look very appetizing but I promise it is delicious! Imagine really tiny grains of rice but with more of a bite to it. If you cannot imagine what it would be like (or even if you can) I strongly recommend trying this out. I was able to find the above box at my local grocery store (which is not the most health food friendly store) so I imagine that it is becoming readily available at most stores. I located it in the organic foods aisle but if your store does not have one, it could probably be found among the rice and pastas. If you cannot find it in stores it is widely available online as well. It paid around $4 for the box but each box contains approximately 7-8 servings. Not a bad deal for an organic, 100% whole grain, complete protein, extremely healthy option. I strongly suggest trying out quinoa and incorporating it into your diet. 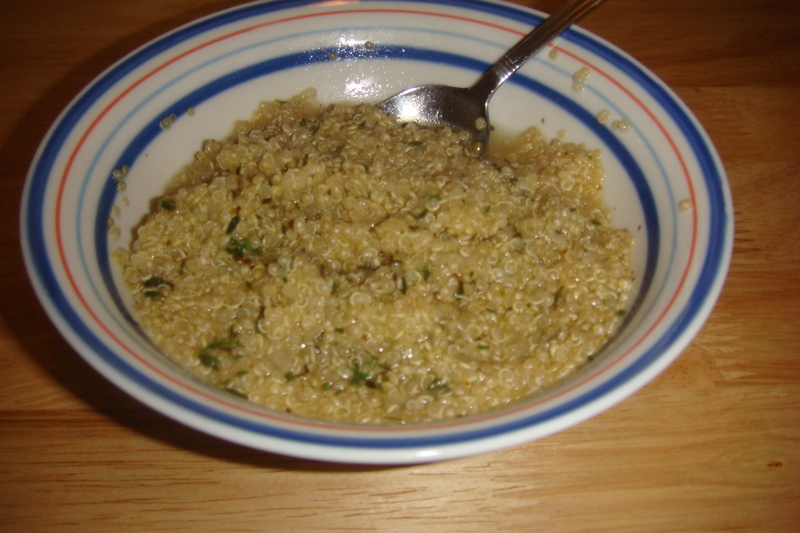 If you have had quinoa before or were convinced to try a new recipe let me know how it turned out. I love hearing about new ways to cook the things I love. This entry was posted in Nutrition and tagged cooking, diet, food, grain, healthy, nutrition, protein, quinoa, whole grain. Bookmark the permalink.